Adding up the extras can be a nasty shock when you’re booking a holiday, especially when you factor in the charges for kids. Nadine, i-escape’s Kids Collection Editor, has scoured our site for wonderful family-friendly places to stay which allow children under 12 to stay for free – you can see the full list here. Nadine has also chosen 10 of the best, below, which have something for everyone in terms of price, setting and location. Happy families! A welcome addition to the Kids Collection in 2014, this stylish rural retreat in a medieval hamlet is set high in the Tuscan hills (reopening for the season on 1 March 2015). We loved its sophisticated yet rustic rooms – most with double showers and tubs – the largest of which can take an extra bed or baby cot for free, and 2 Luxury Rooms can interconnect. Larger families may prefer to stay in one of the self-catering villas (2, 3 and 6 bedrooms). Children will consider the pool (with pool toys on request) and gardens to be their domain, and will enjoy the Wii consoles and kids’ DVDs after a hard day holidaying exploring the local countryside and historic towns such as Siena. I’ve never met a child who didn’t love New York City and this hip boutique hotel has a superb central location close to Broadway, shopping, subway stations, and the playground in Washington Square Park. Most of the rooms and suites have huge 2-person bathtubs, and the hotel caters for all age ranges, with oodles of baby and toddler paraphernalia, and DVDs and games consoles for kids and teens. Head out for the night, leaving the children with an experienced babysitter. All room categories from Deluxe Studio upwards can take a rollaway bed or baby cot; some Lofts and all Suites can take multiple extra beds and baby cots. Holidaying in self-catering barn conversions are great value: you get lots of space, bags of character, and kids love all the room inside and out to run around. Here, close to the spectacular North Norfolk coast, are 2 clusters of contemporary-styled barns, 7 in total, which sleep 4 to 14, so you’ll definitely find the right one for your family. Each can take a baby cot, some can take extra beds too; all have twin rooms and bathtubs. Five share a games room with ping pong, darts and table football, plus a steam room and spa pool. And each barn comes with a long list of family-friendly activities in the area. We think this would make a good tranquil base for exploring Marrakech, best suited for families with babies and older children. The historic riad is a warren of staircases and corridors across 7 original houses, which is fun for children to explore, there’s a plunge pool in the courtyard, and you’re only 5 minutes’ walk from the Djemaa el Fna, main square with its snake charmers and magicians. There’s all-day food available, smaller portions for kids and a kids’ menu. 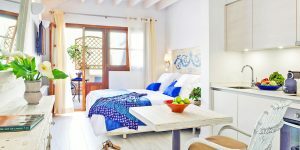 You can book the Blue House which has 2 bedrooms and a tub in one of the bathrooms; all Suites can take an extra bed or baby cot, and babysitting can be arranged. Defining ‘off-the-beaten-track’ are these stylish beach villas, 2 hours’ south of Florianopolis, overlooking a freshwater lagoon and perfect surf beach. The eco-resort is set in a natural conservation area, and there’s whale-watching July-November, boat trips to see dolphins, birding, waterfalls, snorkelling, surfing and that stunning beach to wander along. There’s a restaurant on site, all villas regardless of size have good kitchens (the larger ones can sleep up to 10), and extra beds are free for any age of child. You’re set for a blissful family holiday. For the ultimate family holiday, perhaps to celebrate a landmark birthday, head to this luxury hotel. 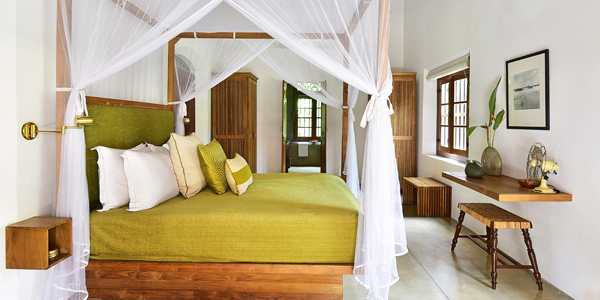 Its regal pool villas, positioned perfectly for ocean views, cascade down a jungly hillside to a private sandy beach. Everything is top-notch: the restaurant, the spa, the 45-m saltwater pool with shallow end (and lifeguards), the ambiance. Trisara Kids is a dedicated pavilion hidden away from the main hotel with craft classes and games, supervised by qualified staff. And it’s free! Nearly all bedrooms will take extra cots and beds without charge for kids under 12. Cooking classes, a kids’ menu, mocktails in the bar, a range of watersports, elephant rides, extensive baby and toddler equipment and babysitting are all laid on. Paradise! Cornwall needs no introduction as a perfect setting for a memorable family holiday, and this seaside-chic apart-hotel was created for families. All studios and apartments have kitchenettes, can take baby cots and/or Z-beds, many have twin beds or bunks, and children will revel in the indoor heated pool or on the trampoline. There’s also a well-equipped playroom, outdoor mini-playground, children’s menus in the restaurant, and the beach is just at the end of the lane. If you can bear to venture forth, you’re a short drive from the Eden Project and National Maritime Museum. You’d be forgiven for thinking that a relaxed clifftop resort set above (with steps down to) a sandy cove of turquoise sea below, with superb sunsets, immaculate 1-3 bedroom villas, gardens with bubbling fountains plus restaurant on site would be pricey. But pleasingly, appearances can be deceptive! Not only is this Eden well-priced, most villas have full kitchens so you can self-cater, there’s a small pool, a selection of games and toys for kids, bikes to borrow, and snorkelling gear and surfboards to rent. Lovely.